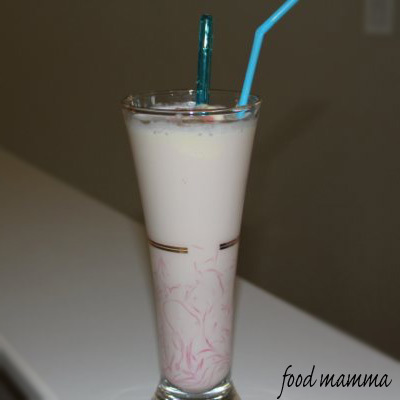 Home » foodmamma » cheers to mothers with faluda! cheers to mothers with faluda! It was a lovely Sunday celebrating the important women in our lives – our mothers. Lunch consisted of fried kabobs (thanks to my sister-in-law) and nihari, a beef shank curry. The best way to top off this delicious meal had to be with one of my favorite drinks/desserts – faluda. 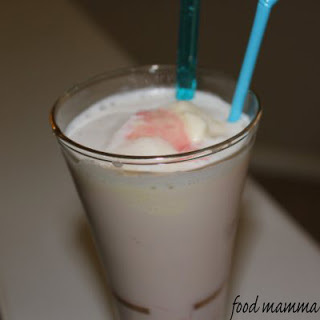 Faluda is a mixture of rose syrup and milk accented with ice cream and vermicelli. This cool, creamy drink is the perfect way to toast all the amazing mothers out there – Happy Mother’s Day! Cook the vermicelli in boiling water for five minutes. Drain and rinse with cold water. Add a few drops of red food coloring until the vermicelli are pink. Combine milks, ice cream and rose syrup and chill until ready to serve. In a tall cup, add a spoonful of noodles, a couple scoops of ice cream and top with the milk mixture. Serve with a straw and tall spoon. Vermicelli in a drink? I don't know how I feel about that. But Happy Mother's Day!